Scalable Video Technology (SVT) is a software-based video coding technology that is highly optimized for Intel® Xeon® Scalable processors and Intel® Xeon® D processors. Using the open source SVT encoder core found on this website, it is possible to spread video encoding processing across multiple Intel® Xeon® processors. 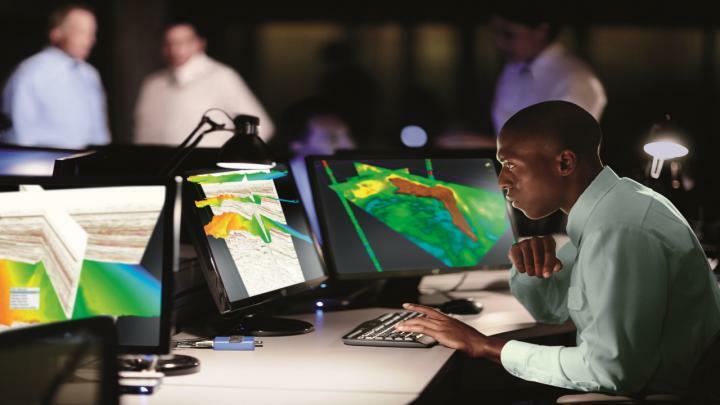 With many data centers using Intel® Xeon® processors, a real advantage of processing efficiency can be achieved by using a combination of SVT video encoders and Intel® Xeon® processors. The large core count available on modern processors (e.g. up to 56 cores per dual-socket platform) makes it possible to scale the performance of SVT encoders extremely well as a function of the available computational resources. The objective of the open source Scalable Video Technology (SVT) project is to provide flexible high-performance software encoder core libraries for media and visual cloud developers. Such libraries will accelerate innovation of new visual cloud services, serving as a starting point for developers to build faster and higher-quality full-feature encoder products. SVT is designed for cloud-native scalability, and it provides outstanding tradeoffs between visual quality and performance, for both VOD and live visual cloud applications. The SVT encoder architecture is designed specifically for x86 processors, and heavily optimized for Intel® Xeon® Scalable processors in particular, and allows for the encoder core to be split into independently operating threads, each thread processing a different segment of the input video source. These segments are run in parallel on different processor cores, without introducing any loss in fidelity. The SVT architecture provides 3 dimensional parallelism optimization - process based parallelism, picture based parallelism, and segment based parallelism. In addition, SVT architecture provides multi-precision-level features like human visual system (HVS) optimized classification resulting in better rate/quality tradeoffs, and Intel® Xeon® processor-specific performance tuning. In addition, up to thirteen presets: M0-M12, provide fine granularity in the selection of the tradeoffs between quality and speed. SVT architecture is CODEC standard-agnostic, i.e., it can be applied for the development of encoders that are compliant with different standards. Intel has created an open source SVT-HEVC encoder core for developers to use in creating their own products and services. The SVT-HEVC encoder core is made available to the open source community via a highly-permissive OSI approved BSD+Patent license. The same architectural advantages will be available in SVT-AV1 and any other future SVT CODECs. The SVT-HEVC encoder core supports HEVC Main and Main10 profiles (up to Level 6.2) and video input resolutions up to 8Kp60, 4:2:0, 8-bit and 10-bit. The SVT-HEVC encoder was first released to the Open Source community in September of 2018. The open source SVT-AV1 encoder core was developed based on the same standard-agnostic SVT architecture, while also using many of the features of the open source AOMedia (AOM) Video 1 (AV1) encoder. The SVT-AV1 encoder core supports video input resolutions up to 4Kp60, 4:2:0, 8-bit and 10-bit (HDR), The SVT-AV1 encoder core was released to open source on January 31, 2019. The SVT-VP9 Encoder is a VP9-compliant encoder library core. The SVT-VP9 Encoder is being optimized to achieve excellent performance levels currently supporting 10 density-quality presets on a system with a dual Intel® Xeon® Scalable processor targeting real-time encoding of up to two 4Kp60 streams on the Gold 6140 with M8. The SVT-VP9 encoder core was released to open source on February 15, 2019. Join the SVT-HEVC Mailing List. Join the SVT-AV1 Mailing List. View a list of SVT-HEVC feature requests and see what is planned on our Trello page! 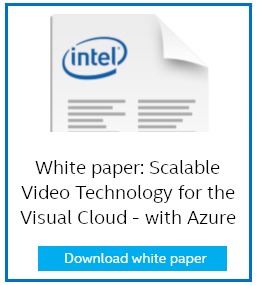 Read the SVT whitepaper for AWS - Scalable Video Technology for the Visual Cloud with AWS. To get started coding, visit the Documentation section!